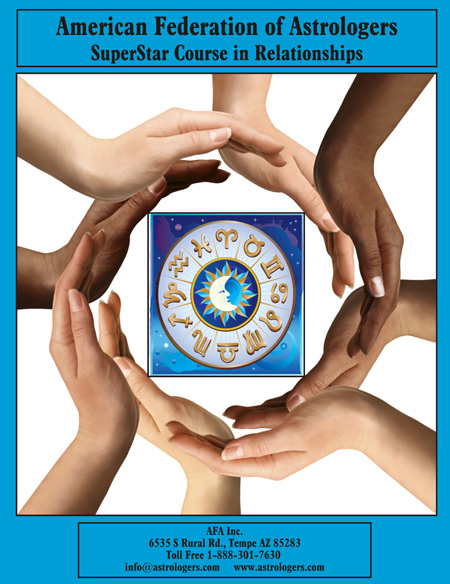 This advanced course in astrology focuses on relationships, including chart comparison, relative aspects in chart comparison, aspect patterns in and between charts, chart comparison techniques - synastry and analysis, composite and Davison relationship charts, choosing a time for marriage, Venus and the Venus-centered chart, and Venus arc directions in relationship forecasting. For more information about the course, click on the Advanced Studies tab.  Note: This is an advanced course in astrology, designed for those who have a working knowledge of the natal chart as well as forecasting. Cost: $195, including shipping to a U.S. address; contact AFA for cost to ship to other countries. Every student is assigned a teacher.